Aerial view of HERMES and TRAPSat payloads during balloon testing. 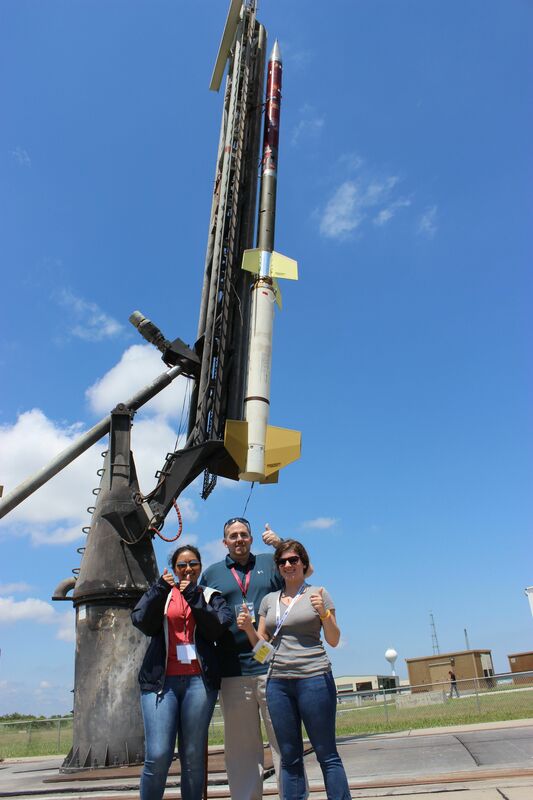 Several years ago, a team from MDSGC’s newest member, Capitol Technology University (CTU), began working on an experiment to collect and study debris in low-earth orbit. This project was motivated by the hazard posed by small, non-trackable space debris to satellites and crewed spaceflight. The essential idea of the “TRAPSat” payload is to capture debris in aerogel and photograph the resulting tracks during flight. TRAPSat’s test flights were executed through the MDSGC Balloon Payload Program. 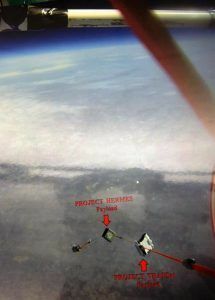 The CTU team also had a communications payload “HERMES” in development — utilizing the Iridium satellite constellation to downlink flight data in nearly real time — also flown and tested using MDSGC balloons. CapTech team members at RockOn workshop. 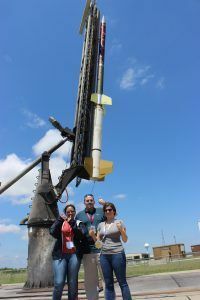 RockSat-X, the high-intensity sounding rocket payload launch opportunity that follows from RockOn, provided that next step. 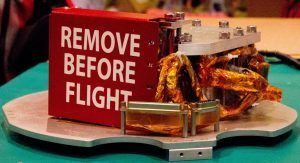 The TRAPSat RockSat-X payload flew in December 2016, fulfilling its mission objective by recording and transmitting some data, despite a problem with the rocket that resulted in loss of the rocket with all payloads at sea. Fortunately, this learning experience is not the end of the story. 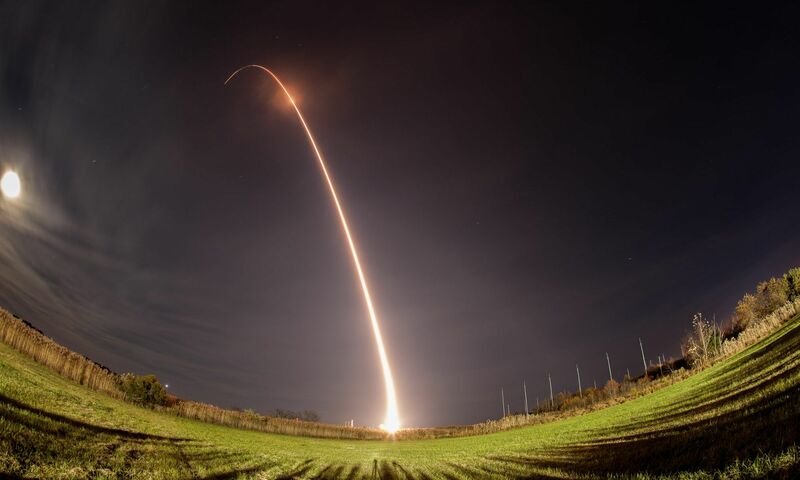 New cohorts of students continue to join the team effort, starting out with balloon payloads, traveling to RockOn, and continuing CTU’s participation in RockSat-X. The latest step on the team’s journey, and by no means the last, is the preparation of the CubeSat CACTUS-1, selected for NASA’s Educational Launch of Nano-satellites (ELaNa) initiative. CACTUS-1, which incorporates both the TRAPSat and HERMES payloads, is currently slated for launch in 2018. Stay tuned!